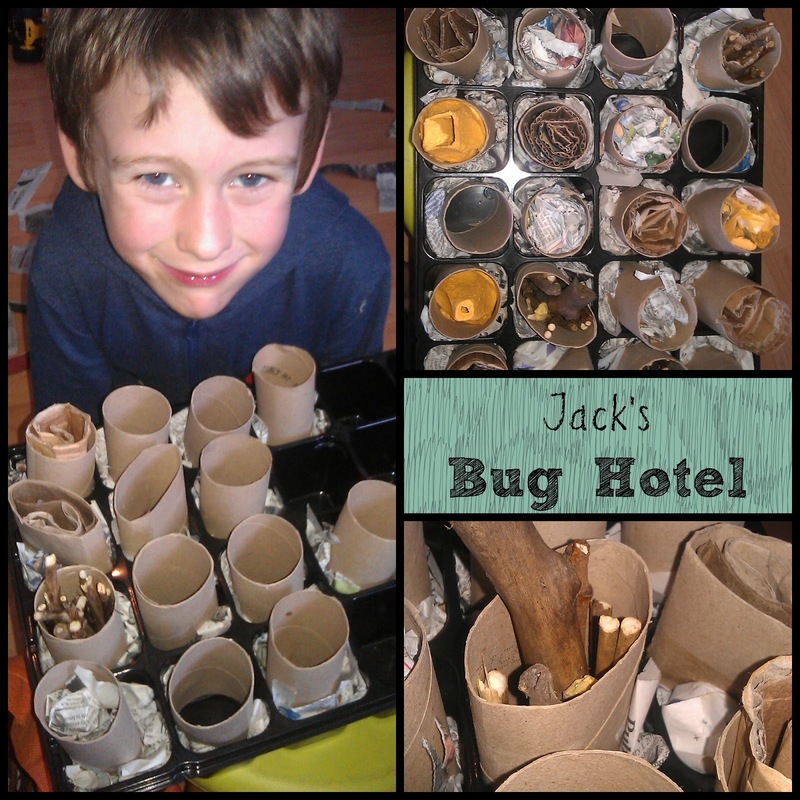 This week we have been working on Jack's Bug Hotel. We've got a lot of inspiration from Pinterest, and had a good rummage through all the bit n bobs we save for projects like this. We've used the insert from an old advent calendar as a base, and filled each pocket with the inner from a toilet roll, packed in with shredded newspaper to keep them steady. Jack has been collecting all sorts of things to go in the tubes. Twigs and sticks, bits of cardboard, shredded egg box, and taken great care to make sure there is room for bugs and beasties to climb inside! I have some spare washing line which we can hang it up with, or tie it to one of the trees. But I think we might leave that until AFTER it's been to school... I doubt they would be happy with the classroom being over run with critters!